Taking a short break from youth-led initiatives this month! AIDA (Interamerican Association for Environmental Defense) is now featured on First Here, Then Everywhere. 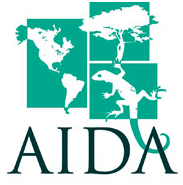 AIDA is an organization dedicated to developing transnationals solutions to environmental problems in South America. Leran all about AIDA here, and read an interview with the Co-Executive Director, Astrid Puentes.